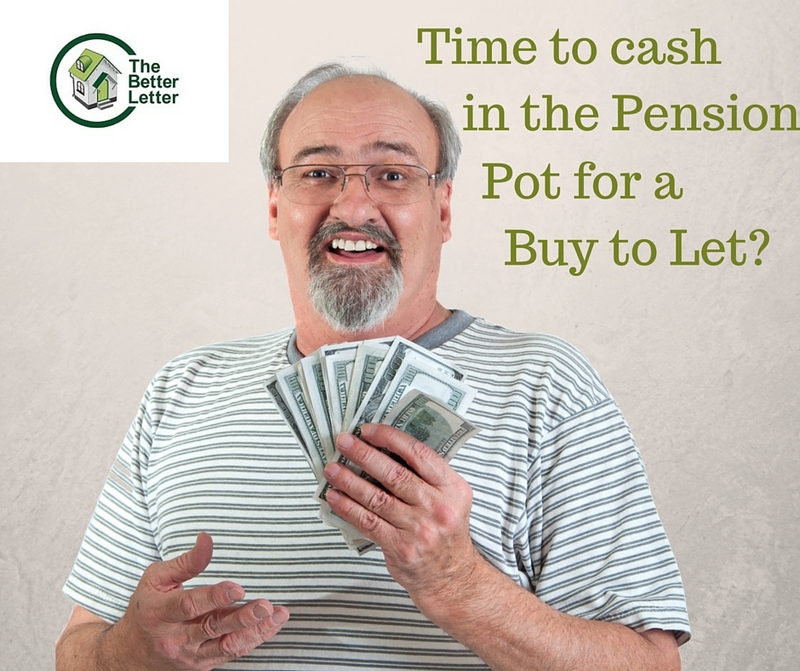 Time to cash in your Pension Pot for a Buy to Let? Is becoming a Buy to Let Landlord a good way of investing your money and planning for a comfortable retirement? Since the changes in the early 2015 budget, anyone aged over 55 can withdraw money from their pension and invest it elsewhere. This immediately led to a lot of panicked articles about a ‘flood’ of amateur landlords cashing in their pension pots and crowding out the housing market. Those cashing in their pension pots will be hit with huge unexpected tax bills! They’ll be left with no private pension and sink into an old age of poverty! It’s encouraging reckless investment by inexperienced landlords and inflating house prices! Becoming a Buy to Let landlord is a licence to print easy money! House prices are going up and up! You can make money while you sleep! Both of these stances are extreme and – like most extreme views – have their problems. Due to growing demand and short supply, the value of properties will more than likely increase significantly over the next years and decades so – if you have the capital to put down a healthy deposit and negotiate a low interest rate – the rent could more than cover the mortgage and leave you and your family with a valuable asset. For those willing to assess the market and consider which area(s) to invest in, and which types of properties are available in those areas, shrewd investments are there to be made (and for those who don’t have the know how to make those choices, they can ask an experienced letting agent to advise them – see our guide to Building a Property Portfolio). With the poor value of annuities in recent years, a property portfolio could be just the right investment if you’re looking for a new challenge in retirement. Be prepared for void periods – can you cover the mortgage? A good letting agent can help you avoid long periods without a tenant. YOU are legally responsible – even if you engage a letting agent. So make sure that you personally keep up to date with the latest legislation affecting landlords (for example, by visiting our Advice for Landlords pages). If you’re planning to manage the property yourself, are you prepared to spend your retirement regularly inspecting and maintaining your properties, chasing rent and dealing with problem tenants? Only 25% of your pension pot can be withdrawn tax free – the rest may push you into a higher tax bracket! So consider the implications carefully and decide whether it’s worth investing the whole amount, or if you only want to cash in that tax free 25%. So really, the story is the same as always. There’s no magic get rich scheme, but it’s not all doom and gloom either. Buy to Let can be an excellent investment, whatever your source of seed capital, so long as you are prepared to look into it carefully before you leap. And of course, if you want to become a Better Letter, we are always on hand with advice and online tools for private landlords. Want more from The Better Letter? Tenants >> Like our Facebook Page to be informed of new rentals, tenants news and views plus help with any tenancy queries. Partner Opportunity >> If you are interested in becoming a Better Letter then head over to our website's Partner Opportunity page which will give you all the information you need. 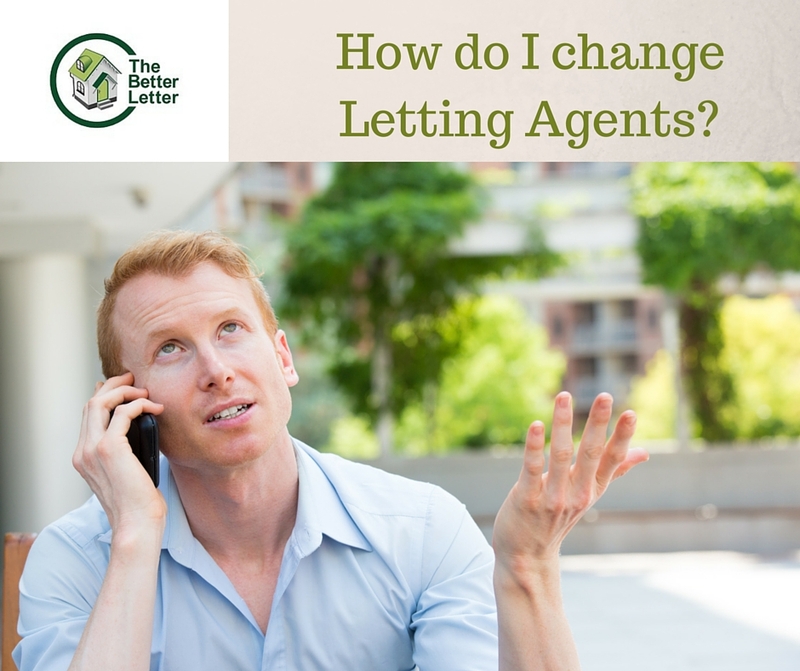 How Do I Change Letting Agents? If you're not happy with your Letting Agent, can you make a change? There can be many reasons for wanting a change from your current letting agents: inadequate response to maintenance issues; poor vetting of tenants; excessive fees; little to no guidance on the latest legislation that affects you (leaving you exposed to fines or even prosecution!). Whatever your reasons for thinking of changing agents, how easy is this to do in the middle of a current tenant contract? Most full-management contracts do not allow for the easy termination of this agreement for as long as the current tenant is in place. Understandably, once a Letting Agent has undertaken the work of finding and vetting a tenant, registering your deposit and carrying out necessary checks, and have agreed to manage the let, they will be reluctant to allow you to end the agreement just because you resent paying the management fees. And if the service from your letting agent has been good, it would be short-sighted to end your contract merely because you don’t see why you are paying monthly management fees. Remember, those fees are for what might happen, as much as what has happened. Unless you have the resources to deal with emergency (and non-emergency) maintenance issues, or to chase unpaid rent or evict problem tenants, then a good letting agent is worth their weight in gold. 1. Is there a termination clause? Often, there will be the option to give your current agent a notice period (usually two months). You may have to pay an ‘Introduction Fee’ to recognise that they have secured your current tenant – usually the equivalent of four-six months of management fees. 2. Has the service from your current letting agent been so bad that it would amount to breach of contract? Once you have definitely decided that it is worth leaving your current letting agent now, rather than waiting until the current tenant leaves, then make sure you speak to the tenant as soon as possible so that they are reassured as to their own security and keep them appraised of who their new contact will be for any issues and of any changes that might affect them. If you suspect you could be getting a better service from your Letting Agent, why not come and talk to us and find out what a Better Letter can do for you? Are you up to date on Right to Rent? The legal requirement for landlords to check their tenants’ immigration status is set to be rolled out across the country. Landlords who fail to comply could face criminal penalties of up to five years in jail! For an established letting agency like The Better Letter, this isn’t a big problem. Yes, it’s one more bit of legislation with which we must comply, but we have the process, experience and legal expertise at hand to make sure it becomes part of our regular routine – like checking references or filing eviction notices on problem tenants. While the landlord will still be legally responsible for these new checks, we make sure we fully represent our clients so they can relax and know it’s all covered. But more than half of UK private landlords do not use a letting agency to manage their property. 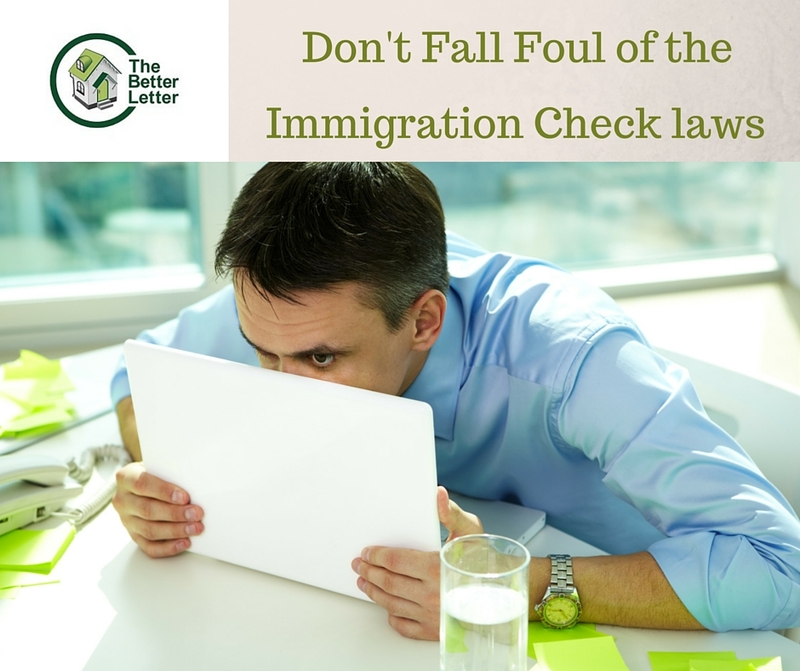 How many of these DIY Landlords will be prepared for the new Immigration Checks? How many will be aware of the eight different kinds of paperwork that can be presented to prove a prospective tenant’s ‘right to rent’ (or the further nine documents that can be acceptably substituted when provided in combination)? In addition to knowing which documents count as acceptable proof of the check, will DIY landlords know which documents are still acceptable when expired, and which must be date-stamped no further than three months back? Which countries are not in the EU, but are in the EEA? What a genuine ‘Immigration Status’ document looks like? It is the landlord’s personal and legal responsibility to make sure that they – or their appointed agent – do know all of these things. If they don’t, they will have committed a criminal offence with a potential for up to five years in jail. There is a solution for independent landlords who don’t want a fully managed service, but aren’t confident about handling issues like drawing up legal tenancy agreements, credit and reference checks, evictions - and the upcoming immigration checks - on their own. The Better Letter offers a full range of online services to help self-managing landlords save time, money and headaches. Should the Immigration Bill be passed into law, we will incorporate these checks into the service we offer. So if you are a DIY landlord, make sure you do your research, or think about accessing our online services. Either way, I hope this article has helped you to be a Better Letter. A good agent won’t be afraid to answer upfront questions about fees and charges. They’ll be able to explain to you clearly which government-approved deposit scheme your deposit will be held in. 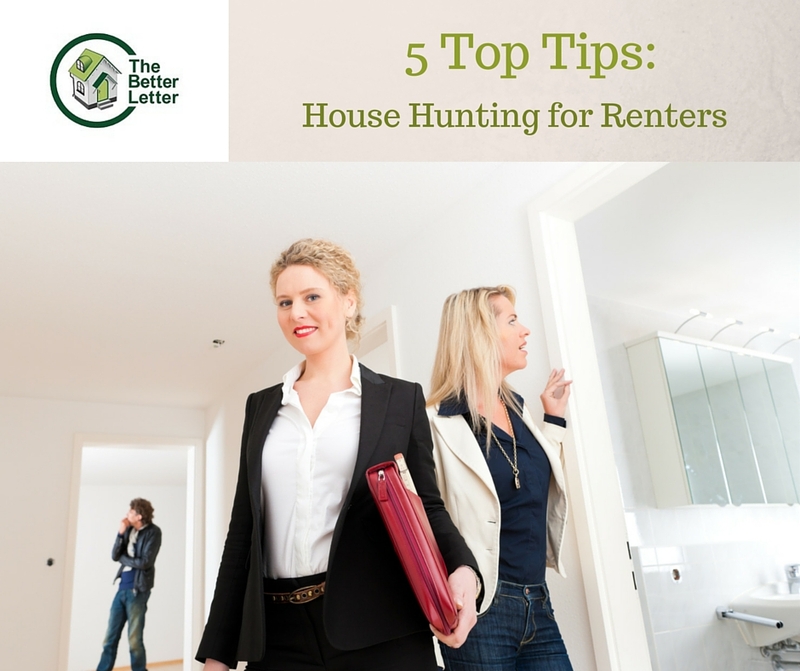 They won’t pressure you to sign documents or transfer money before you’ve seen the property and agreed the let. 2. Are you moving to a new area for work? Ask your new employers if they (or a colleague) can recommend the best areas to start your search. Are you looking for cafes, galleries and a thriving nightlife? Good transport links to the city centre? Or are you more interested in good schools and quiet roads? Is more living space important to you? Or a more upmarket area? What is realistic in your budget and what are the deal breakers for you? Turn on the taps and showers to see what the water pressure is like; check under the sink for mould; poke in the cupboards; ask about the neighbours – and if you get the chance, talk to the neighbours! If you are new to the rental sector and have no previous landlords, then talk to your employer about providing a reference testifying to your earnings and character. So once you’ve signed up for your RightMove property alerts (where all our properties are listed), keep this tips list close and happy hunting! What is revenge eviction – and when is it illegal? Although the vast majority of private tenants have a good relationship with their landlord and feel they are treated well, there are a minority of so-called ‘rogue landlords’ who grab all the headlines and can give the rest of us a bad name! One example of poor landlord practice which has now been outlawed is so-called retaliatory or ‘revenge’ eviction. This is when a tenant reports a fault or maintenance issue to the landlord and instead of arranging necessary repairs or work, the landlord responds by evicting the tenant. But hopefully such horror stories will now become a thing of the past. With new legislation now in place, it will be harder to serve notice on tenants if they have recently reported a maintenance issue. The so-called ‘Retaliatory Eviction’ legislation was introduced to prevent situations where a tenant reports a maintenance issue to the landlord or agent, and the landlord responds with an eviction notice. The tenant has then reported the matter to the relevant local authority, who have subsequently issued an Improvement Order or undertaken emergency remedial action themselves, using their statutory powers to do so. 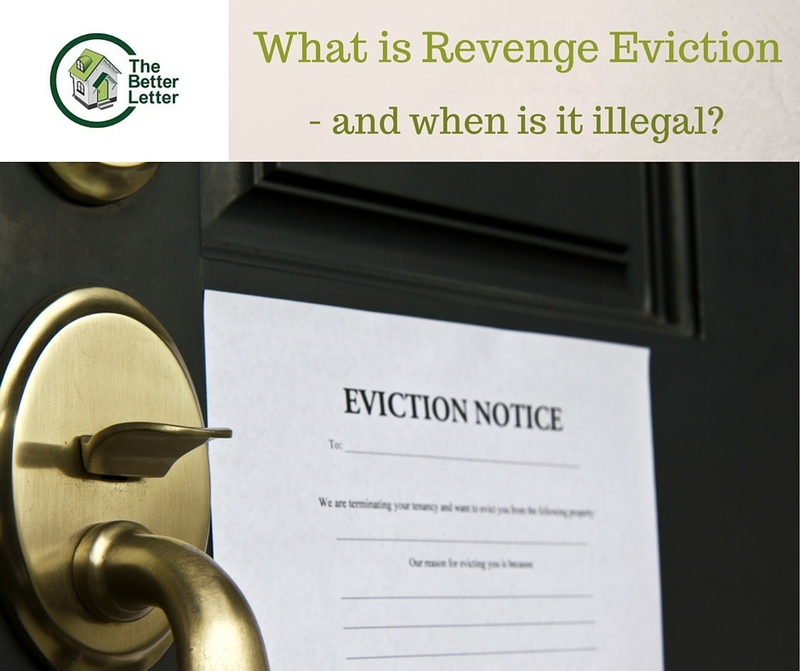 However, many tenants are still unaware of these extra protections that have just come in, or don’t realise the formal process they must follow to protect themselves from a revenge eviction. For example, if they only inform their landlord of the issue verbally, or if they don’t report the fault to the local authority (should the landlord fail to respond), then the landlord can still legally serve a Section 21 notice and evict them. At the Better Letter, we have no reason to keep our tenants from knowing what their rights are – we believe in good practice even when it’s not enforced by law! Our recently published guide to the New Section 21 Rules for Landlords covers the retaliatory eviction legislation and other new legal requirements that landlords must meet, starting from this month. So whether you are a tenant or a landlord, check out our guide and make sure you understand your rights and responsibilities. Landlords: Are you up to date on Smoke Alarm Rules? © The Better Letter. All rights reserved.